I’ve been informed that this specially produced nighttime photo card is a doctored version of a daytime view. 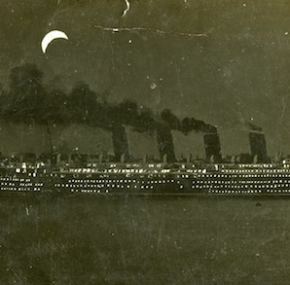 Notice the crescent moon is “backwards.” This photo was originally taken September 17th, 1907 as Mauretania was heading towards the sea and away from her builders yard. 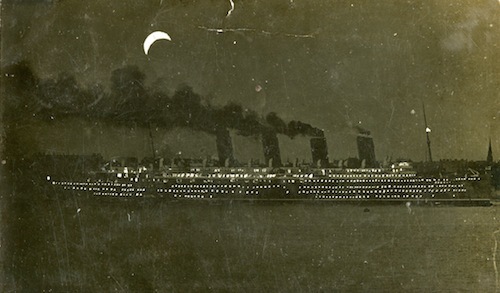 Posted July 27, 1917, with a family message on the back. Slight bumping to the edges and the corners.